Bora Bora – Unquestionably the most mythical of the Pacific islands remains the island of all dreams. Seen from the air, Bora Bora has been compared to that of “a tiny emerald in a setting of turquoise, encircled by a sheltering necklace of sparkling pearls”. The airport, built by the US forces in 1942, is located on a palm fringed motu about 20 minutes by boat from the main village of Vaitape. Some other remnant of the US presence are 2 large cannons hidden in the lush hills overlooking the lagoon. The view of Bora Bora from the airport is truly breathtaking, and as you travel across the spectacular lagoon you will soon understand why it is the main area of attraction for most visitors. 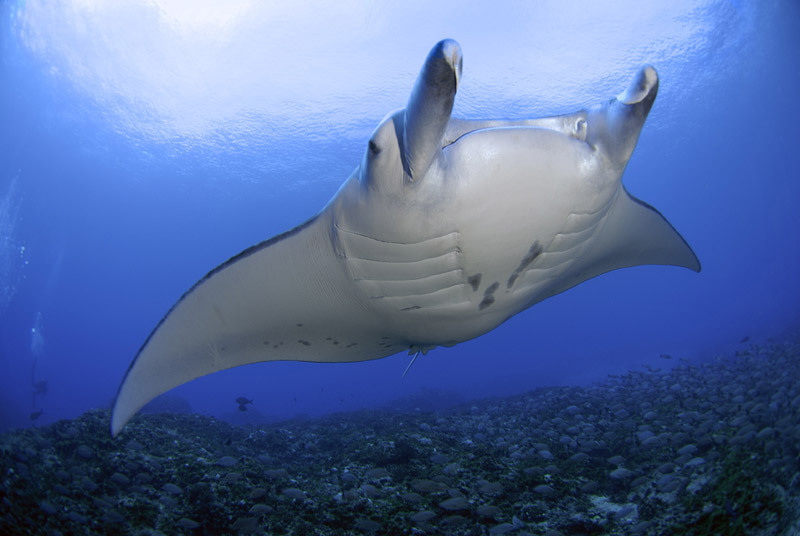 Off the Point Matira there is an area where the huge and graceful manta rays congregate for your viewing pleasure. There are other types of ray such as the beautiful spotted ray and the friendly gray ray which love to be petted during the “ray feeding” excursions. At the entrance of the pass, the “White valley” teems with gray sharks and barracudas in a never ending ballet. Bora Bora lagoon offers a multitude of activities and excursions, one of the most popular being the Shark feeding where from chest-deep water you watch local divers feed 4′ to 5′ reef sharks by hand. It’s a lot of fun and totally safe. The same routine is done with a large group of friendly gray rays. You can also take a circle-the-lagoon excursion with motu picnic, rent a small boat, visit the Lagoonarium near Le Meridien Hotel and take a 4×4 excursion to the panoramic view points and the US cannons.